Holiday shoppers beware: not all gift cards are created equal. Depending on the type of gift card you buy, you could end up paying $25 or more in purchase and shipping fees -- and that's before the maintenance fees kick in. Bank-issued cards tend to be the biggest culprits, according to a November survey conducted by Bankrate. While all eight of the popular general-purpose gift cards offered by banks and credit card companies charged purchase fees, only five of 55 retail gift cards Bankrate surveyed charged them. Purchase fees averaged $4.50 per card. American Express (AXP) and U.S. Bank (USB) Visa cards were the worst offenders, with purchase fees as high as $6.95. And while federal law now prevents all gift cards from expiring within 5 years of purchase, general purpose cards are more likely to charge so-called "maintenance" or "dormancy" fees, monthly charges that can reduce the card's remaining balance long before the five years are up. By law, these fees can't kick in until at least 12 months after purchase. If you receive a $25 Chase (JPM) Visa gift card that goes unused for 18 months, for example, six months of $2.50 monthly maintenance charges would drop the card's balance to $10. Within two years, the balance would be entirely gone. "The biggest tip we could ever give is use them before you lose them," said Bill Hardekopf, chief executive officer of credit information site lowcards.com. Of the retail, restaurant, travel and gas gift cards Bankrate surveyed, only one company — Pilot Travel Center — charged maintenance fees. That contrasts with six out of eight of the general purpose cards surveyed, which charged between $2.50 and $3 a month. Consumers should also look out for exorbitant shipping fees associated with some online card purchases. With shipping charges ranging from $13.50 to $27.50, Shell (RDSA) gas cards had the highest average delivery cost of all cards surveyed. US Airways (LCC) came in second with $15 two-day delivery as the only shipping option. Shell's shipping fees -- which are applied if customers buy online instead of at Shell gas stations or certain grocery stores -- go toward a courier service, as well as fraud protection, said Shell spokeswoman Kimberly Windon. But shipping costs can be avoided altogether. Roughly half of the card issuers surveyed offer e-gift cards that can be printed or sent via e-mail, and many will ship physical gift cards for free. Most cards can also be purchased at retailer's brick-and-mortar locations. 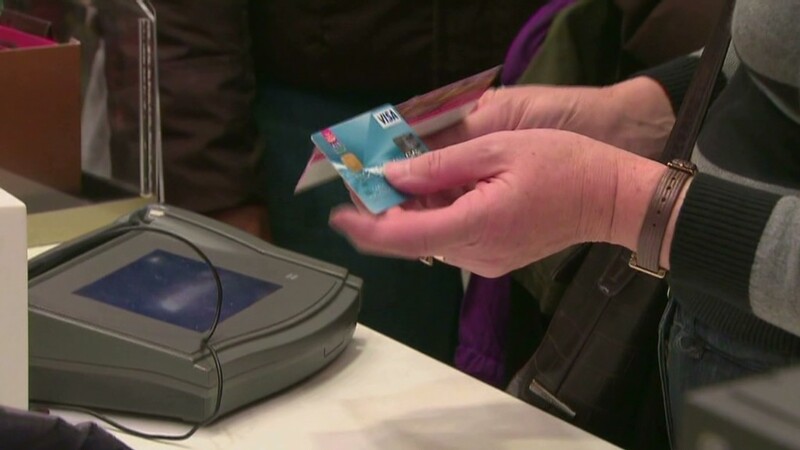 For those gift givers unable to decide on a retailer, cash or checks are another alternative, said Odysseas Papadimitriou, chief executive officer of credit card comparison site CardHub.com. "If you are going to gift an American Express or Visa gift card, why not give a check at that point," he said. "So then you avoid the fees and you are allowing the person to use the money for a broader set of reasons." Card recipients should also make sure to read the fine print in order to make sure they get the full value of the card, Hardekopf said. "Gift cards are a wonderful thing, you just have to use them properly and research them thoroughly," he said. "As a recipient, you should really read the terms and conditions right after the guests leave on the holidays." Avoid prepaid credit cards. While they look like gift cards, prepaid cards are actually different and tend to have more and higher fees. Check out online gift card exchanges. Like Craigslist for unused or unwanted gift cards, these sites -- where you can buy or sell unwanted gift cards -- can sometimes be home to a bargain. Look for loss or theft policies. While some issuers will replace cards for free, others charge high replacement fees or won't replace lost or stolen cards at all. Use credit card rewards. Some rewards programs allow consumers to purchase gift cards with a higher redemption value than cash back rewards, providing more bang for your buck.